Piece plaited bobbin lace. Origin uncertain—possibly Italian, Flemish or Dutch. 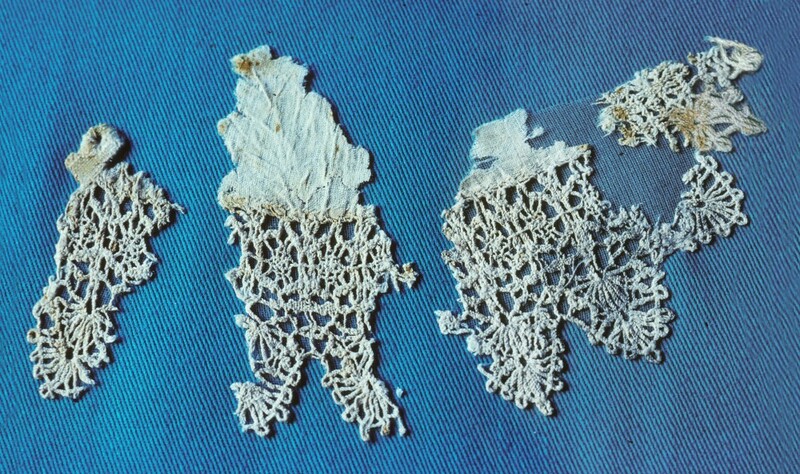 Cotton/linen fibre (see SEM analyses in A. Rixon, thesis & AIMA Bulletin 26: 51–56). Used to enrich the edges of collars and cuffs of garments. Site Location Found in Barber' s Bowl concretion (BAT 516) by Hugh Edwards/UWA Expedition.